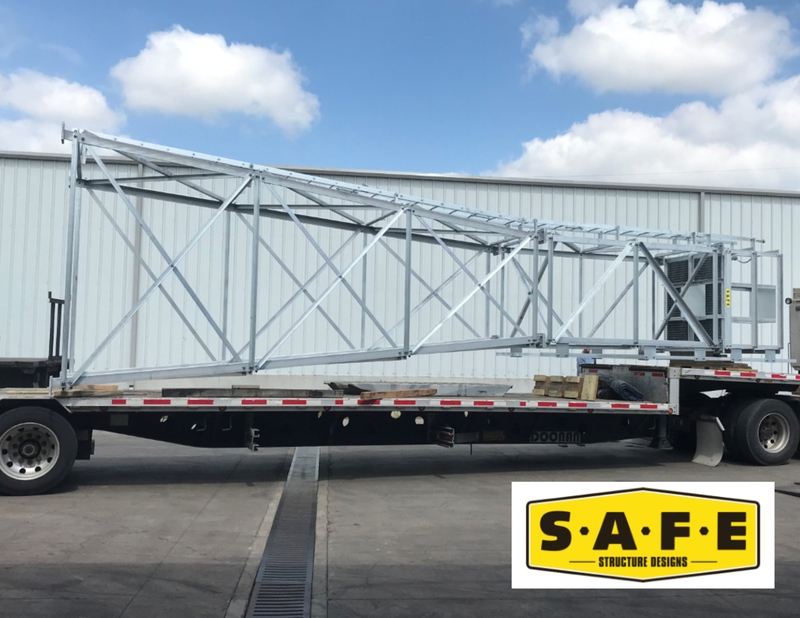 S.A.F.E Structure Designs, a global leader in the design, engineering and manufacturing of custom ergonomic safety first OSHA compliant aircraft and marine maintenance stands, fall protection platforms, hangar equipment and all various types of steel structures, announced that it has been awarded the contract to manufacture aircraft and marine safety floating light towers for the United States Coast Guard. The USCG was in need of floating safety markers for approaching aircraft and ships on bases located near waterways. S.A.F.E. Structure was able to construct modular towers that span from 5 to 60 feet in height. The modular towers were designed to handle adverse weather conditions and to endure the outside elements of salty air. The USCG took delivery of its first 35’ foot tower on September 25, 2017, in Charleston, South Carolina. “It is an honor that the USCG relies heavily on S.A.F.E. Structure for time sensitive and critical contracts,” stated Johnny Buscema, president and CEO of S.A.F.E.